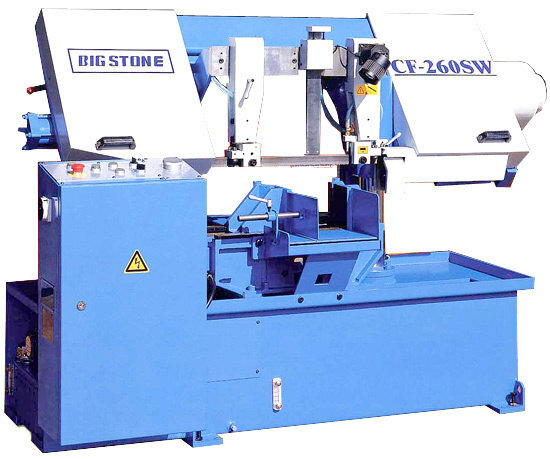 The Bigstone range of bandsaws offers affordable quality from one of the UK's most respected brands of bandsaws. 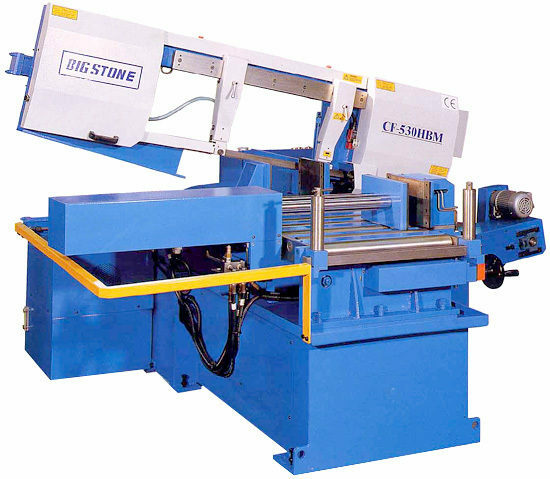 With simple operator controls and rugged design, Bigstone bandsaws are fast becoming the nations favourite amongst steel fabrication and structural steel companies across the UK. The origin of the 'Bigstone' trade name are BIG [large capacity] and STONE [heavy]. 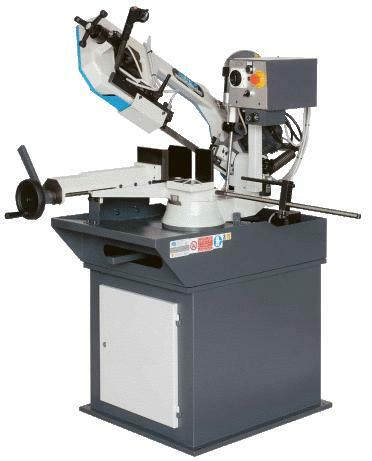 Semi automatic, single mitring M series workshop saws. 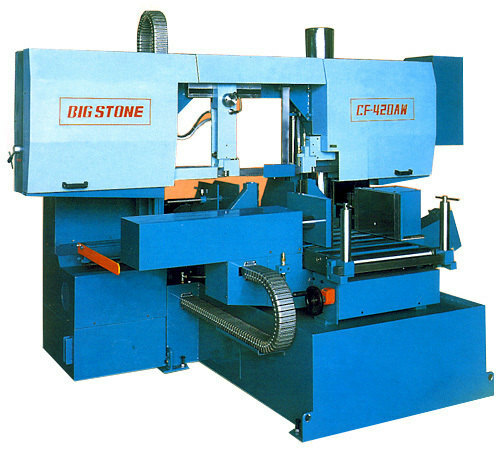 Two of the UK's most popular fabricators bandsaws. CF610DMS - The most popular machine in the Bigstone range. All models supplied with Laser line, variable blade speed and DRO of mitre angle, as standard. 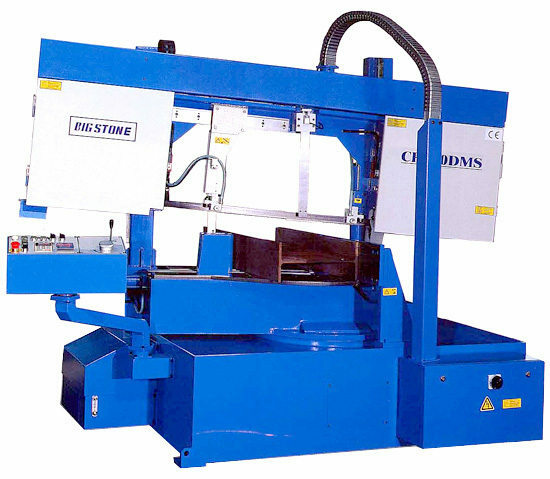 A range of 3 auto feed bandsaws to suit all levels of production. 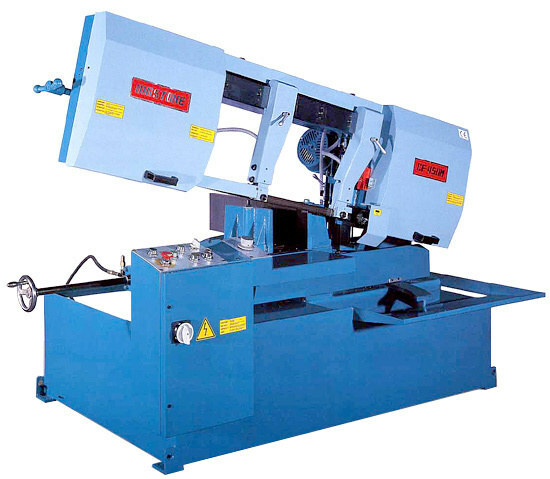 Semi automatic production bandsaws for straight cutting of tube, section and solid ferrous and non-ferrous metals. All models come standard with variable blade speed and hydraulic blade tensioning. Good quality, low price production bandsaws. 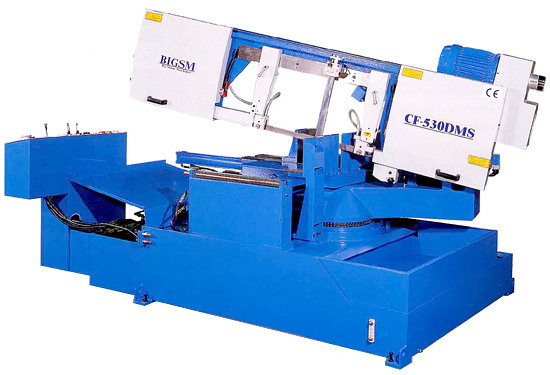 The CF325BSN is a must for automatic sawing of bundles of sections and tubes. A comprehensive range of workshop mitring saws for small to medium sections. The range includes pivot action and column circular saws & bandsaws. Available in a variety of capacities, with a choice of manual pull down, gravity feed, semi auto and fully automatic models, to suit all levels of production.